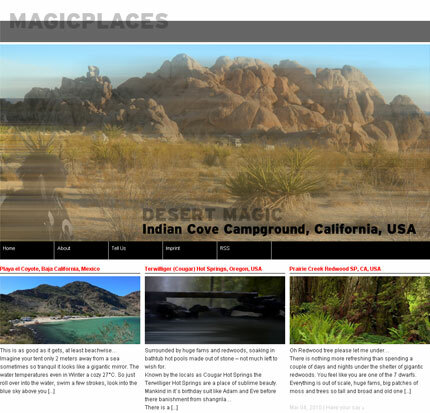 If you´re looking for a breathtaking place to go to, visit magicplaces. On this new online-startup you’ll find some of the few magic places on earth. Also, go and publish your own magic place.